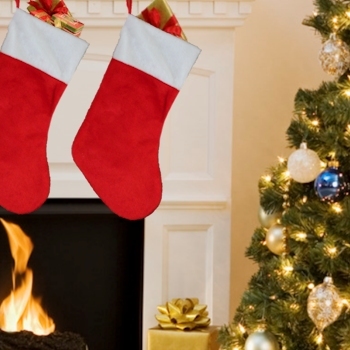 Traditional red and white Christmas Stocking made with soft plush fur. Traditional red and white Christmas Stocking made with soft plush fur. Lovely stocking that is lined on the inside and has a hanging loop too. Approx 48cm diagonal length from top to toe.